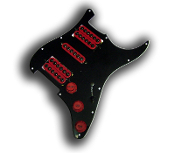 Prewired HSH Crusaders, YOUR CHOICE of pickguard and pickup colors! HSH Hexbuckers, CHOICE of pickguard and pickup colors! 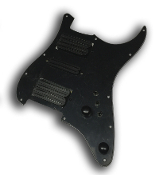 HSH Phat Screamers, YOUR choice of pickguard and pickup colors! HSH Screamers, YOUR CHOICE of pickguard and pickup colors!